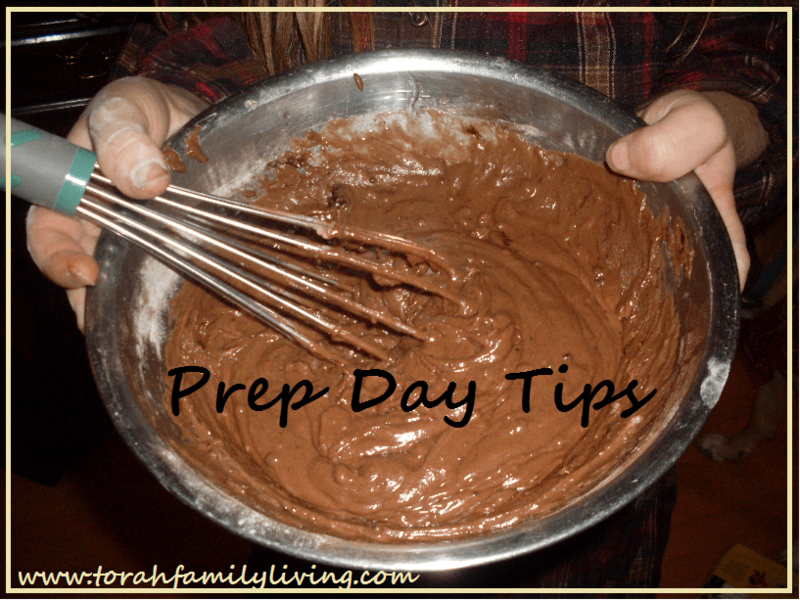 Here are a few tips to help you with your prep day tasks. Right now, my kitchen is clean. However, that can quickly change. I can end the day with a clean kitchen if I don’t keep dirtying dishes. We also use paper on Shabbat. To save money, we reuse them when we can. There are plenty of details to tend to today, from cleaning the bathroom to making popcorn. Yes, I have forgotten to take the trash out on Friday, so now I always write it down. 3 Try cold brew coffee. I know, that sounds like a silly tip, but it tastes great and has simplified prep day and Shabbat. It’s simple to make and isn’t acidic at all. Put one part ground coffee and four parts water in a container. Sometimes I just use a saucepan. Stir it up and let it sit for at least 12 hours. Overnight is great. Strain it through a coffee filter. The result is very concentrated. We use 1 1/2 to 2 ounces of the coffee and enough water to fill our mug. Yum! For hot coffee, we run water through our coffee maker. It’s also good with cold milk. Sweeten to taste. 4 Use games and contests. If kids aren’t actively cleaning up a mess, they seem to be bent on destruction. Shabbat is so much nicer in a clean house, so I get the kids to help by making it fun. Sometimes, I give the kids a penny for every time they pick up the number of items corresponding to their age. A couple of weeks ago, we had a housecleaning Olympics. We had gold and silver medals (imaginary) and timed races with a stopwatch. It improves everyone’s mood and makes them move faster. Have a great prep day! How do you make prep day easier? Share your tips! Would you like to learn more about Shabbat and how to make it the highlight of your week? Be the first to hear about my brand new Shabbat mini course as soon as it’s launched! It’s free! It will be filled with tips, printables, and great ideas for helping you have a great Shabbat each week. You can sign up below to stay updated.